The energy from waste market needs to be constantly adapting and improving to keep in check with new European and UK policies and legislation; and hit their required targets. SMi’s eagerly awaited 11th Annual Energy from Waste conference will bring together international waste management operators, developers, bankers, private equity financiers, technology providers and industrial end users for two days of intensive networking, discussing developments that are needed in technology, financing and infrastructure to ensure the solutions are available to fast track the growth of the industry worldwide. With a specific focus on how new technology can help EfW projects overcome their challenges and operational problems and an update on where the industry fits within the circular economy. This year’s event will give all attendees a broad, in-depth insight into all aspects of the market, with a consideration on how Brexit will affect exports of RDF. 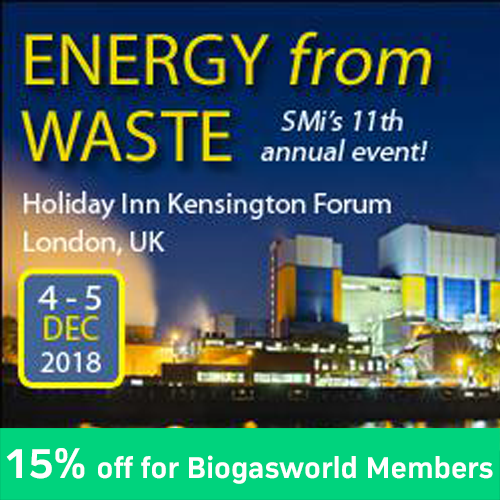 Finally, the conference will also address the fundamental changes to funding associated with energy from waste and how this is impacting the market.